Achoo! I'm allergic to my cat. 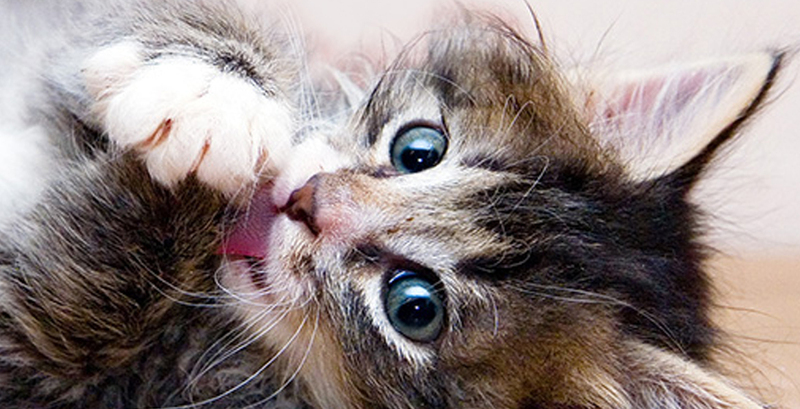 Do you love stroking your cat, but whenever you do it you begin to sneeze? Don't worry, it doesn't only happen to you. In fact, 15% of the population is allergic to pets. Accordingly, we want to give you some tricks so that you can live together with your feline with minimal discomfort. ¿Do you love stroking your cat but whenever you do it you begin to sneeze? Don't worry, it doesn't only happen to you. In fact, 15% of the population is allergic to pets. Accordingly, we want to give you some tricks so that you can live together with your feline with minimal discomfort. It is very common to be allergic to cats. For that reason, from Affinity, our first recommendation is that you try to find out if you are allergic before taking it as a pet, because this frequently leads to abandoning the animal. The percentage of people who are allergic to domestic animals, and especially to cats, is around 15% of the population. Allergies in the humans are the body’s reaction to a substance that it cannot tolerate. People with an allergy have a hypersensitive immunological system to supposedly inoffensive proteins that are located in substances produced by the animal, such as our pets' saliva, urine or dandruff. These proteins are called allergens and it is necessary to discover whether or not they affect the owner before taking a cat home. Allergy to cats can appear in many ways, starting with local cutaneous reactions, typical rhino-conjunctivitis or asthma. Cutaneous reactions vary from urticaria by contact to a rash on the face, neck and trunk. These consequences are usually associated with evident symptoms that can affect the respiratory apparatus. Although the allergy must be diagnosed by an allergist, it is probable that the first symptoms appear with the presence of the cat. However, a specialist must diagnose the allergy. If you already live with a cat and you have suffered some of these symptoms, read the following lines carefully. Because we at Affinity do not want you ever, ever, ever to stop stroking your cat, and we want to give you some advice to alleviate the symptoms of allergy, not without reminding you beforehand that abandoning a pet is not a solution. In the first place, we recommend you brush your cat as often as possible. Avoid objects such as carpets and upholstered furniture in your home, since the allergen usually accumulates in these types of materials. Keep your cat from entering your bedroom. 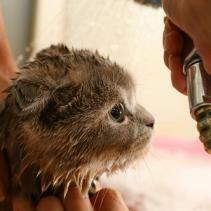 Also, it is important to wash your cat's bed and utensils regularly, and to bathe your cat every week. It has even been proven that sterilisation of males contributes to reducing the protein that causes most allergies to cats. Finally, you should know that there are currently some medical treatments and vaccines to reduce the health problems of allergic people. In case you are allergic to your cat, the specialist will recommend the most suitable desensitising treatment for each case.